In this tutorial you will learn how to navigate on a mesh using the OpenMesh library. In the previous chapter (see Mesh Iterators and Circulators) you have learned how to iterate over vertices, edges, halfedges and faces as well as circulate over certain structures such as 1-rings and many more. So in this tutorial we will focus on efficiently using the halfedge data structure and some very useful attributes such as the boundary flag. We assume that you already made yourself familiar with the halfedge structure which is used in OpenMesh. Further information on this topic can be found in The Halfedge Data Structure. // heh now holds the handle to the initial halfedge. As you have seen in the previous section, navigating along boundaries is very simple. 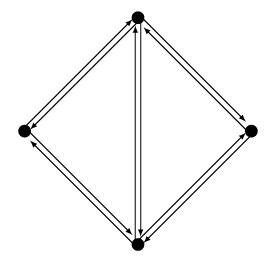 In general OpenMesh also offers a boundary attribute for edges, vertices and faces. So testing i.e. whether a face is a boundary face is quite simple using OpenMesh::PolyConnectivity::is_boundary(). You can iterate along boundaries by using the next_halfedge_handle(). 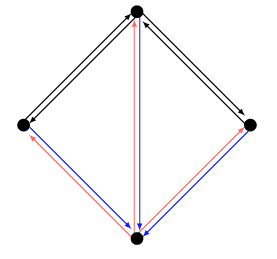 If you are on a boundary, the next halfedge is guaranteed to be also a boundary halfedge. 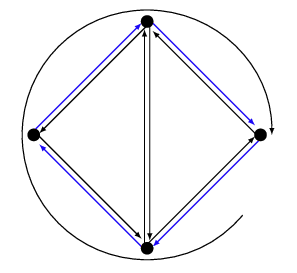 // Test if a face has at least one adjacent boundary edge. 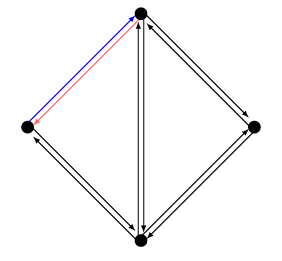 If you have an halfedge, you can get the to and the from handles of the adjacent vertices. The halfedges have a direction. 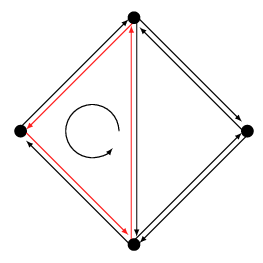 Therefore the to vertex is the from vertex of the opposite halfedge and vice versa.